The Guam Plaza Hotel was a great deal for me. 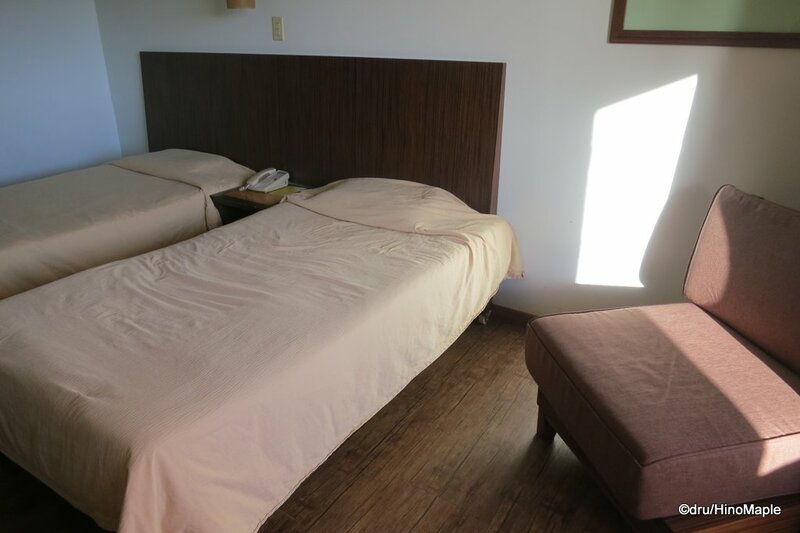 I was looking for a hotel that was on the main tourist strip and I was able to find a good price via HIS, the largest travel company in Japan. I was happy with the location and I was prepared for a hotel that would not meet all of my expectations. I mainly wanted a hotel close to the beach and with enough amenities that I wouldn’t have to worry about anything. The Guam Plaza Hotel met all of my needs although they do lack a lot of amenities that would make it a highly recommended place to stay. 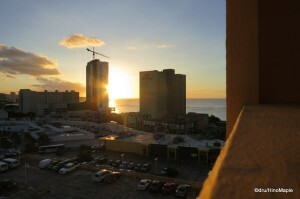 The location of the Guam Plaza Hotel is at the end of the main strip of Tumon Bay. Past the Guam Plaza, there really isn’t much left. It is barely within walking distance of the Micronesia Mall, although I wouldn’t recommend it as 30 minutes is still a long walk and there isn’t a lot to see along the way. The Guam Plaza is located on top of a large tourist shop, JP Superstores, and next to the Duty Free Store. It is also pretty close to the beach, which is less than 5 minutes from the hotel. The only problem with the location is that it is right at the end of the shopping area so it can be difficult to get to the other side, but that isn’t a bad thing either. The other side of the main strip has more clubs and can be a bit noisier. The hotel itself is not bad. 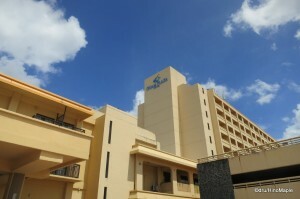 It is a little old but most of the hotels in Guam are pretty old. The old saying of you get what you pay for is very true with the Guam Plaza. You get a basic hotel that is comfortable and that’s about it. The rooms have only the basic amenities such as tooth brushes, soap, and towels. The main problem I had was with the beds. They are a bit too hard for me, and harder than a Japanese hotel bed. I don’t mind it too much and I was prepared for it after reading reviews on the internet. The design of the hotel is pretty good and the layout was done pretty well thought out, but the craftsmanship was lacking. The floors are noticeably uneven throughout the hotel from the hallways to the room itself. It could be due to the temperature or cheap labour but I’m not sure. It could also be due to the age of the hotel. The shower head was also a problem as it was fixed to a metal rod and was adjustable, but the fixture seemed a little old as it would easily slide down to the bottom regardless of what you did with it. Coming from Japan, I’m used to showers with a little power, and the shower head in my room was pretty weak. I also noticed a little variation in the temperature of the water as it would go from cool to hot in waves. While there are many little things that caused problems, the room and the hotel was pretty good. The room I got was on the top floor so I didn’t have to worry about people being noisy above me. I also had an ocean view, well as much of an ocean view as possible. There were 2 big buildings at the beach that obstructed my view but nothing could be done about that. The 2 big buildings were located just right so I could still see the sunset from my room. The pool was also nice. It wasn’t very big but it was located in a central courtyard between the two main buildings. It was pretty good and more than adequate for tanning. My only beef was with one lifeguard who couldn’t believe I was Canadian and said “I thought all Canadians were white”. On the main floor, you have a lot of shopping opportunities. 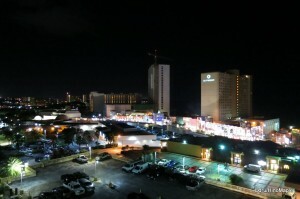 Like most of the hotels in Guam, there was a shopping area with a few shops. The only real shop worth visiting was the JP Superstore. They had 2 shops, a large one and a mini shop. The mini shop was more of a convenience store than anything and the main shop had everything. I didn’t have to leave my hotel in order to get souvenirs as I got all of them there. They also had good beer in the convenience store location so I was pretty happy. 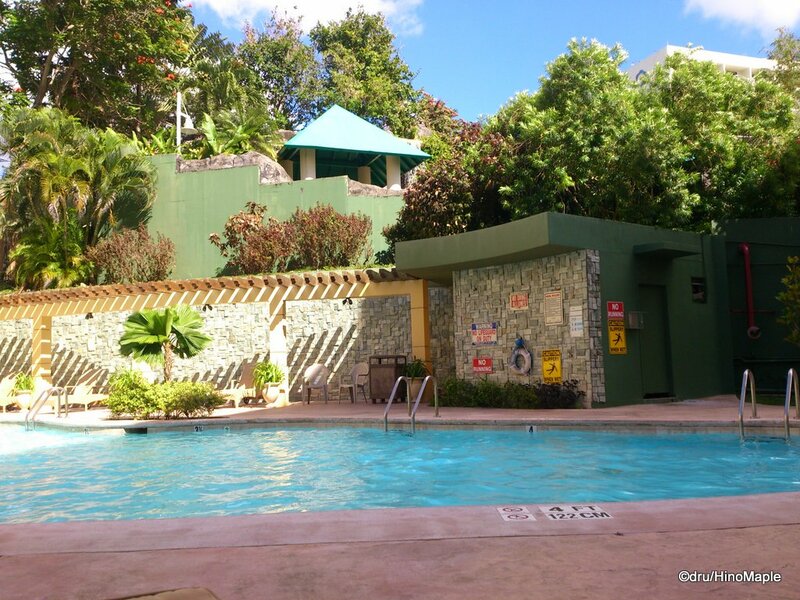 The Guam Plaza Hotel is a good hotel to stay in when you are visiting Guam. I wouldn’t hesitate to recommend them as they are not expensive. I would advise you to do a few things before you go. Make sure you have everything you need. Personally I don’t care too much for amenities but they lack pretty much everything. Only the bare basics were available. There was no tissue for a runny nose and if I bought a bottle of beer, I had to go to the front desk in order to open it. I wasn’t allowed to borrow a bottle opener for my room. I also wish they had towels I could use at the beach, or at least rent for the beach. I didn’t bring my own as I didn’t have much space in my luggage so I ended up lying directly on the hot sand. It wasn’t bad but it could have been a lot better if they had towels. Do note that I didn’t ask about renting towels for the beach. It felt as if they were nickel and diming everything but for what they provide, they did a good job and you can’t fault them for that. This entry was posted in Hotels, USA and tagged Duty Free Store, Guam, Guam Plaza, Guam Plaza Hotel, HIS, JP Superstore, Tumon, Tumon Bay by Dru. Bookmark the permalink.